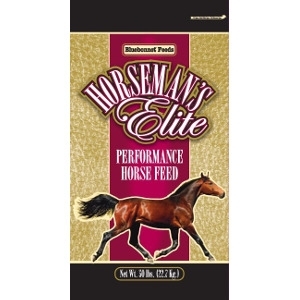 Horseman’s Elite Pelleted Horse Feed | Brazos Feed & Supply, Inc.
Horseman’s Elite Pelleted is a high quality feed that may be fed to horses in all stages of life. This feed is designed to provide quality protein and calories along with prebiotics, probiotics, and balanced vitamin & mineral levels. This feed contains “Cool Energy” calorie sources from soybean oil.